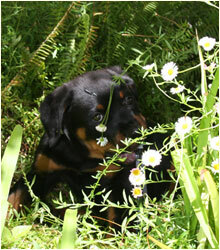 Raising Dexter – A Rottweiler’s Life » Blog Archive » My Grand-Aunt? This is my Mom’s Grand Dad’s new pup, Sherrie. Grand Dad rescued her and she now lives with him at his home in Missouri, USA. I’m not sure how she is related to me, just that she is. She loves toys as much as I do so we sent her a bunch of toys as a “welcome to your new home” gift. 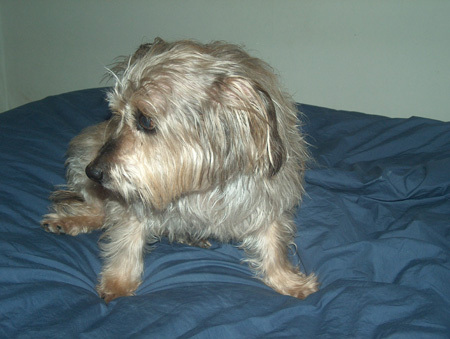 Sherrie is 4 years old and she is a Cairn Terrier.